The contrasts are stark for Sara Civian as she finishes her second week covering the Carolina Hurricanes for The Athletic Carolina. She grew up in Boston and was writing about the Bruins for radio station WEEI’s website before the move. But she’s excited to cover a new team in a new state with plenty of writing freedom in what she says is a supportive work environment. It’s the sort of dream job that she thought she took in June 2017 at another sports subscription website — DK Pittsburgh Sports. Instead, it turned into a nightmare that she’s glad to put well behind her. She was managing editor for Onward State, a student-run news website at Penn State, and her first job out of college was to cover her favorite sport. Dejan Kovacevic, who writes for and runs the DKPS site, hired her to cover the Pittsburgh Penguins. She heard that Kovacevic could be mean and was known for verbal disputes. But she thought his passion would make her better. That’s a hint that she once was a hockey player. She quit in November after five turbulent months that, in January, Deadspin chronicled. She was taken off the Pens beat in August after the Pittsburgh Pirates writer left, typos were made to feel like “the end of the world” and her job duties were becoming unclear. She was also told that Kovacevic made sexist remarks about her. He denied it to Deadspin, but she eventually had enough. She was far from the only one to come and go from the site. “Honestly, in retrospect, now I can look back on it as something I’m grateful for because, as questionable as the person I think he is, he taught me a lot about writing and how to serve people behind the pay wall and how to bounce back when you think your career is over at the age of 22,” Civian said. There’s that hockey player coming out again. She was happy with her work in Pittsburgh despite all the challenges. She was back in Boston shortly afterward, writing for College Hockey News, which had offered her a job out of college. She shifted to the full-time job at WEEI later in the hockey season. The Athletic is a big upgrade from her WEEI job. Although the website was separate from the radio station and her website boss was supportive, she had to deal with WEEI hosts disparaging her on the air. Unlike with her Bruins coverage, she will follow the Hurricanes on the road, and estimates that she’ll likely cover about 85% of the road games. She’ll be the first Canes beat writer to cover that many road games for years. Apart from Viv Bernstein writing a bit about the team in the late 1990s and early 2000s for The N&O and Lauren Brownlow covering some games for FoxSports.com a few years ago, no woman has regularly written about the franchise since it moved from Hartford. No woman has had the Canes as her primary beat. There are women covering the NHL, the most prominent being Los Angeles Times columnist Helene Elliott, who, in 2005, became the first female journalist to earn the Elmer Ferguson Memorial Award from the Hockey Hall of Fame. In addition, Isabelle Khurshudyan covers the Washington Capitals for The Washington Post. Khurshudyan finished college two years earlier than Civian, and won the 2018 Red Fisher Award from the Professional Hockey Writers Association as the top overall beat reporter for the 2017–18 season. During her hockey playing career, Civian was a stay-at-home defender. She eventually played much more lacrosse because she was better at that sport but always has loved hockey. She says it’s an exciting time for The Athletic to give her this opportunity to jump in on the Carolina beat, with a new owner, a new head coach and lots of young players. She says it will give here “opportunities to ask questions and get to know the team as the team is also getting to know itself. So, it’s really cool that they did that and how they are giving me a chance,” Civian said. She said the hiring process involved talking to six or seven people on the phone, many emails and referrals. The hiring of Civian and Vegas Golden Knights beat writer Jesse Granger, both announced Sept. 25, meant that The Athletic now has beat writers for all 31 NHL teams. Civian said that the decision was easy because of the support that The Athletic promised. She’s felt that support since her first day on the job and has heard from many of the other hockey beat writers. She reports to Ken Bradley, the managing editor of The Athletic Carolina, who works out of Charlotte. Bradley previously was deputy editor for SEC Country, which shut down in June. She didn’t hesitate to leave an area she knows well to work in a state she’d never even visited. “As much as I loved Boston — that’s somewhere I might want to end up in 30 years — I want to go and see the world and it’s just a good opportunity here,” she said. She knew little about the Triangle, but her older brother Vincent gave Raleigh high marks. Vincent Civian, now a talent acquisition and development manager at ImageTech in Boston, was a development intern for the Wolfpack Club for seven months in 2008. Although Civian never has worked for a newspaper, she understands the difference between her job and that of a newspaper beat writer. Her job at The Athletic also is much different than at WEEI, and that fact jumped out at her after Sunday’s wild 8–5 Canes win over the New York Rangers. “It’s already worlds different,” she said Monday. “I’m trying to wrap my head around it still. I’m getting anxious to write a gamer on that crazy game, but I have something else that’s so worthwhile I’m writing now, and taking my time. It’s so hard that I’m not clicking and seeing all the [page views] and stuff. I know it’s so much better for me in the long run with my journalism. “This is the information I’ve gathered for the longer story that’s going to feel way more fulfilling and be something readers haven’t read yet. It’s tough making the transition to that, but I’m so glad that I get to now,” Civian said. That story she was writing turned out to be a well-done, interesting read on Canes rookie Andrei Svechnikov and his brother Evgeny and their humble upbringing in Siberian Russia. For stories like this, it helps that Civian is of about 40% Russian ancestry and understands Russian. At The Athletic, the expectations are to produce quality rather than quantity. “They let you kind of breathe and do it in a way that’s going to be best for you, and that is obviously the freedom that I haven’t really had a lot in the past. So, it’s awesome,” Civian said. This in an age when many newspapers expect writers to be prolific to elicit as many page views as possible. In the case of News & Observer beat writer Chip Alexander case, he’s expected to not only cover the Hurricanes, but help on ACC and golf coverage as well. There are plenty of contrasts between the Boston and Triangle markets. While there could be as many as 40 reporters covering any given Bruins game, it’s usually a dozen or so at Hurricanes games. Covering hockey in a market where another sport is king isn’t new to her, though. She covered Penn State hockey for a campus that lives for Penn State football and now finds herself covering hockey in an area where college basketball gets much more attention. She covered Penn State hockey when it went from club team to Division I team. That program has made the last two NCAA tournaments. Could she be about to cover a resurgent franchise about to finally end a long playoff drought? Watching the Hurricanes’ hot start reminded Civian of her first weeks back in Boston last season when the Bruins went on a 19-game point streak for the first time since 1969. She loved hockey long before she started to love writing. The two came together while covering Penn State hockey. One part of working at DKPS that she did enjoy is interacting with subscribers, and she looks forward to doing that with The Athletic. As reported here, The Athletic tried and failed to lure sports columnist Luke DeCock from The N&O to cover the Hurricanes. But he wasn’t the only N&O writer the website tried to hire. In addition, Andrew Carter, a former sports writer at The N&O, who is now on the investigations team, turned down a job with The Athletic in which he would have covered the ACC as well as non-ACC topics. The Athletic still is looking for a writer to cover the ACC. The Athletic’s college basketball site, which previously was known as The Fieldhouse, has been rebranded as The Athletic College Basketball, with Seth Davis still managing editor. Added to the staff as the vertical’s executive editor is Hugh Kellenberger, who was a sports writer at the Rocky Mount Telegram for nearly three years until May 2008. The Appalachian State graduate previously was sports editor of The Clarion-Ledger in Jackson, Miss. It was challenging timing for the Charlotte Observer when Joseph Person, in the middle of training camp, left his position as lead Carolina Panthers beat writer to cover the NFL team for The Athletic Carolina. It’s relevant for Triangle readers considering that the Observer’s Panthers coverage appears in fellow McClatchy Company papers The Herald-Sun and The N&O. As you would expect of an NFL writing opening, Observer sports editor Mike Persinger said it attracted more than 200 applicants. Late last month, the Observer hired Marcel Louis-Jacques to fill that position, and he started Monday. Clemson’s Sept. 29 game against Syracuse was his last as editor of Orange and White, a weekly publication on Clemson sports. Louis-Jacques is a 2014 graduate of Arizona State. 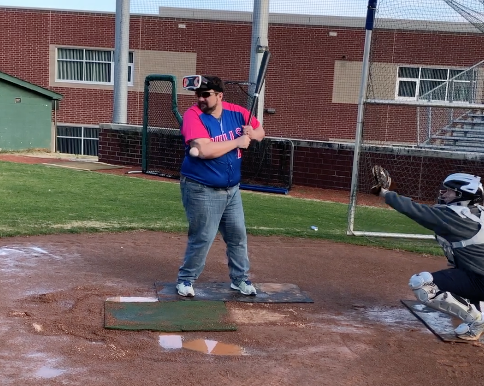 Mike Persinger, the sports editor of the Observer, said that Jourdan Rodrigue will shift to Person’s former role. “He’ll write on Panthers, Hornets and NASCAR, looking for impact stories across our biggest beats,” Persinger said. For the first time, you can watch live high school football this season on an over-the-air channel every Friday night on Sinclair Broadcasting Group’s WRDC (channel 28). 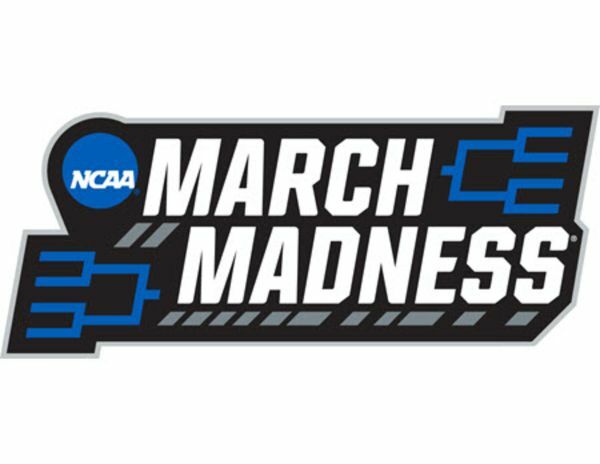 The broadcast team includes Patrick Kinas, the voice of the Durham Bulls and N.C. State women’s basketball, on the play by play, Jon Sonnhalter as the analyst and Erin Summers as the sideline reporter. All also work ESPN3 college broadcasts. Chris Edwards, the voice of Duke women’s basketball and baseball who also does a number of ESPN3 broadcasts, was on the play by play before the Bulls’ season ended. 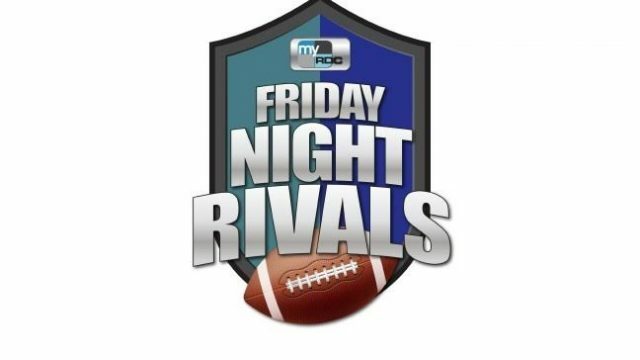 The broadcasts, called “Friday Night Rivals” debuted Aug. 31. This Friday’s game is Cardinal Gibbons-Millbrook. The only game during the regular season not involving Triangle teams will be the Oct. 19 Clayton at Cleveland game at the Nov. 2 Lee County at Southern Lee game. The 10-game schedule was cut to nine because the Wake Forest-Southern Nash game on Sept. 14 was canceled because of Hurricane Florence. Summers awards a Friday Night Rivals trophy to the winning team each week. It’s an expansion of high school sports coverage by Sinclair, which has aired games on WMYA, its station in Asheville for a few years. Sinclair took over coverage of NCHSAA state football championship games last season from Time Warner. Sinclair also has added weekly Friday games in the Triad on WCLV (channel 45). Scott Burnside, one of The Athletic’s national NHL writes, wrote about Scott Darling’s frustrations about his first season as the Carolina Hurricanes goalie. He knew he wasn’t in good enough shape, takes the blame for his struggles and worked hard in the offseason to make sure this season will be different. DeCock wrote in The N&O and The Herald-Sun about how Brind’Amour is remaking the Hurricanes in his image and how he’s the right man for the job. On The Athletic Carolina, Person wrote about how the Carolina Panthers’ opponent this weekend, the Washington Redskins, dumped kicker Graham Gano, and he wondered if his NFL career was over. His performance since then hasn’t made the Skins’ decision look very smart. In The N&O and The H-S, Barry Jacobs wrote about how Louisville’s new men’s basketball staff should be indebted to the late Skip Prosser.